The Best Healthy Living Podcasts from thousands of Healthy Living Podcasts on the web using search and social metrics. Subscribe to these audio podcasts because they are actively working to educate, inspire, and empower their readers with frequent updates and high-quality episodes. Health Podcast newsletter is a comprehensive summary of the day's most important audio podcasts episodes from the best podcasters on the web, and delivered to your email inbox each morning. To subscribe, simply provide us with your email address. About Podcast A weekly podcast series covering the health topics of real food, stress, sleep, fitness, toxins, natural living, and much more to give you actionable steps to improve your family’s health. Facebook fans 673,984. Twitter followers 31,909. Virginia About Podcast My mission is to empower people to take control of their health and fitness by following a healthy, enjoyable lifestyle that not only gives them the body they’ve always wanted, but enables them to live a long, vital, disease-free life. Facebook fans 90,542. Twitter followers 22,781. Spokane, WA About Podcast The Best Health & Fitness Podcast! The Ben Greenfield Fitness Podcast brings you amazing guests that cover topics like biohacking, fat loss, nutrition and supplements. Hosted by Ben Greenfield, the podcast explores his quest to combine personal experimentation with ancestral wisdom and modern science. Facebook fans 101,392. Twitter followers 60,465. About Podcast I'm a health detective. I help people with chronic, complex illnesses who haven't been able to find help anywhere else. Revolution Health Radio debunks mainstream myths on nutrition and health and delivers cutting-edge, yet practical information on how to prevent and reverse disease naturally. Facebook fans 117,592. Twitter followers 87,912. Asheville, NC About Podcast Making changes and living a healthy lifestyles can be fun when you hang out with well-known guests like Rich Roll, Brendan Brazier, Heather Crosby, Leo Babauta, Rip Esselstyn, and Nicole Antoinette. This podcast is an entertaining, informative, no-preach listen, hosted by Matt Frazier. Facebook fans 133,553. Twitter followers 27,805. Malibu, CA About Podcast Each week Rich delves deep into all things wellness with some of the brightest and most forward thinking, paradigm busting minds in health, fitness, nutrition, art, entertainment, entrepreneurship & spirituality. Intimate, deep and often intense, these are not interviews. They are conversations. A weekly aural dance designed to provoke, educate, inspire and empower you to discover, uncover, unlock and unleash your best, most authentic self. Facebook fans 116,687. Twitter followers 72,819. About Podcast Twenty Minute Fitness brings you the latest and best news and advice in nutrition, health, weight loss and digital health in less than 20 minutes! Proudly produced in California by Shape. Facebook fans 60,541. Twitter followers 13,645. About Podcast Shawn Stevenson is a bestselling author and creator of The Model Health Show, featured as the #1 Health and the #1 Fitness & Nutrition podcast on Apple Podcast. A graduate of The University of Missouri - St. Louis, Shawn studied business, biology, and kinesiology, and went on to be the founder of Advanced Integrative Health Alliance, a company that provides wellness services for individuals and organizations worldwide. Facebook fans 25,799. Twitter followers 9,710. San Francisco, CA About Podcast In the Foodist podcast Darya Rose, Ph.D. introduces you to real people on the journey of becoming foodists, learning how to get healthy and lose weight without dieting. A foodist is someone who uses Real Food to optimize their life for health and happiness. There is no right or wrong way to become a foodist, and everyone must find their own path or 'healthstyle' that works for them. This means finding foods, habits and activities you love and that work for you. Facebook fans 20,973. Twitter followers 52,981. Aberdeen About Podcast Scott Baptie from Food For Fitness shares his nutrition, fitness, fat loss, lifestyle and healthy living strategies with you. If you’re looking for a simple and healthy way to get the body you’ve always desired - that cuts out the guesswork - then this show is for you. Facebook fans 22,899. Twitter followers 1,280. Manchester About Podcast Dr Chatterjee has practiced medicine for nearly 20 years and hosts BBC programme Doctor In The House, where he helps families plan their lives around healthier choices. In his podcast, he meets with industry professionals, doctors and researchers to attempt to uncover the truth behind common health myths. Facebook fans 53,242. Twitter followers 25,869. Orange County, CA About Podcast Why bother searching for the best blogs about health & fitness when it can be found and read for you? Think of Optimal Health Daily as an audioblog or blogcast. Facebook fans n/a. Twitter followers 4,724. About Podcast The Tipping Nutrition Podcast is a show for those who want to take control of their health through living better, eating well and moving more. Joanne and Krishn share health and wellness information, guest interviews and in-depth conversations on how to optimize your performance, life and well-being. Facebook fans 708. Twitter followers 120. Brooklyn, NY About Podcast In Food Psych®, I talk with inspiring people about their relationships with food, roads to body acceptance, and revolutionary ideas about what health really means. Along the way, I share my own journey from disordered eater to anti-diet dietitian, and offer resources to help you free yourself from our culture's toxic messages about what we "should" eat and how we "should" look. Facebook fans 6,304. Twitter followers 4,832. About Podcast We will teach and inspire you to reach your maximum potential. The majority of our shows feature guest interviews with world-class experts in the health & wellness community. Periodically, the two of us will tackle a health topic we are passionate about. Either way, you’re in for a treat. We will take your health to the next level with our weekly show. Facebook fans 6,803. Twitter followers n/a. Australia About Podcast The Wellness Guys’ Show are a fun filled half hour of education, information and inspiration from two of Australia’s top wellness experts sharing their unique knowledge on the why, the what and the how of achieving ultimate health and wellness. Facebook fans 10,039. Twitter followers 530. New York, NY About Podcast Welcome to Let It Out With Katie Dalebout Podcast. She is a writer and podcaster. She talks about love, health, wellness, creativity, body image, spirituality, creativity, relationships and more. Facebook fans 7,232. Twitter followers 3,404. About Podcast Host of Nutrition Matters Podcast and registered dietitian nutritionist helping you create a healthy relationship with food and your body. Facebook fans 2,438. Twitter followers n/a. About Podcast The Just In Health Podcast provides the latest cutting-edge health, fitness and functional medicine information. Facebook fans 4,741. Twitter followers n/a. Austin / Seattle About Podcast From neuroscientists and Navy SEALs to cutting-edge researchers, Anti-aging experts, Olympic Athletes and billionaire entrepreneurs, the OPP brings you the best health, fitness, science, and wellness information from the world’s brightest minds, most powerful teachers, and elite performers. Every Monday and Thursday, the OPP brings you actionable information that you can immediately implement into your life to be educated and enlightened. Facebook fans 19,083. Twitter followers 2,587. Pac NW About Podcast The Live Fit Podcast is Your Guide to Better Health. Taking a holistic approach to improving your health with diverse interviews, insight, research, and experience, founder of Live Fit, exercise physiologist, health coach, college instructor, and personal trainer, Glenn Johnson has more than 18 years experience as a fitness professional. Glenn will give you the bottom line on ways to stay fit, lean, healthy and vital. Live life to its fullest. Facebook fans 780. Twitter followers 438. 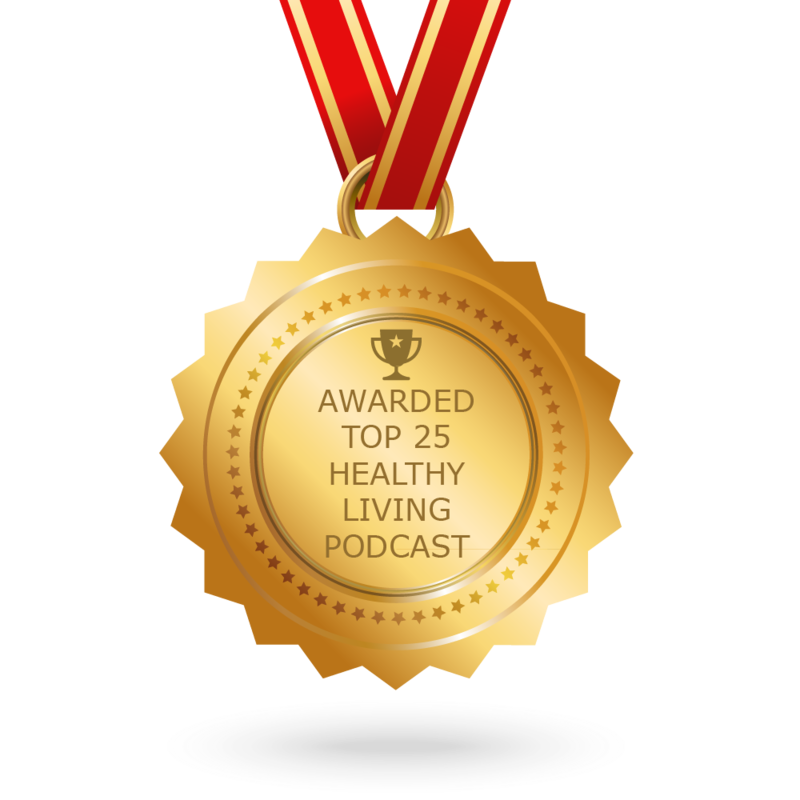 CONGRATULATIONS to every podcast that has made this Top Healthy Living Podcasts list! This is the most comprehensive list of best Healthy Living Podcasts on the internet and I’m honoured to have you as part of this! I personally give you a high-five and want to thank you for your contribution to this world.